PRESS RELEASE Dedicated to the World AIDS Day “Test under the Clouds” event: Get to know about your HIV status! 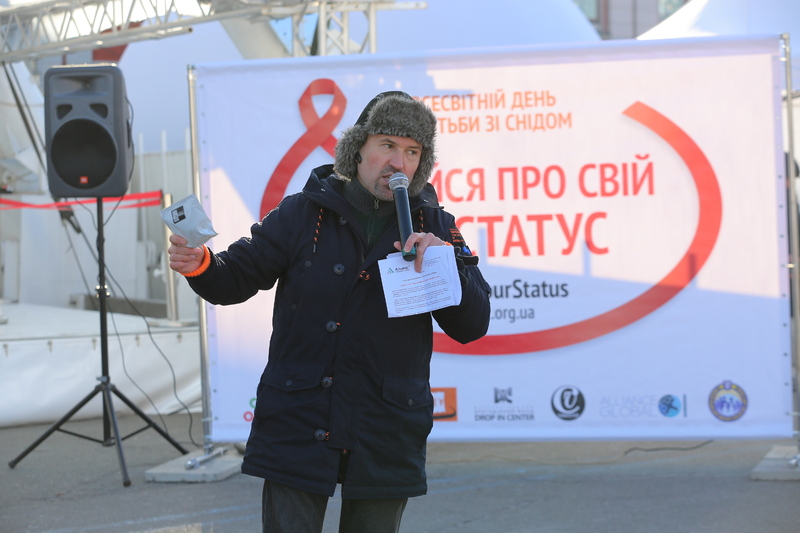 On November 30, 2018, the Alliance for Public Health (the Alliance), together with partner organizations in Kyiv, held an informational and educational campaign “Test under the Clouds” on the occasion of the 30-th anniversary of the World AIDS Day observed all over the world on December 1. That is why for the first time in Ukraine, the Alliance carried out HIV testing at the altitude of 43 m – right at the top of the “Observation Wheel”. All interested persons had an opportunity not only to get tested for HIV and receive professional advice from the doctor directly in Observation Wheel cab, but at the same time enjoy the magnificent views of Kyiv from the bird’s eye. Moreover, within the framework of the “Test under the Clouds” campaign, a short press briefing was held with the participation of representatives of charities and non-governmental organizations, leading infectious diseases doctors and HIV-positive people. “This year, HIV testing was the priority of the World AIDS Day. Indeed, at the moment, 37 million people worldwide are living with HIV and about 9.4 million people are unaware of their status. Within the framework of the Alliance’s prevention programs, only 220,000 people were tested free of charge in Ukraine this year, 6,800 positive results (3%) were found. Today, we are not only testing at the bird’s eye altitude for the first time, but also are pioneering oral (saliva) HIV tests in Ukraine, having used more than 100 tests along with traditional rapid blood tests, which allowed to considerably simplify the procedure of testing and to reach more people”, – said Pavlo Skala, Associate Director for Policy and Partnership of the Alliance for Public Health”. 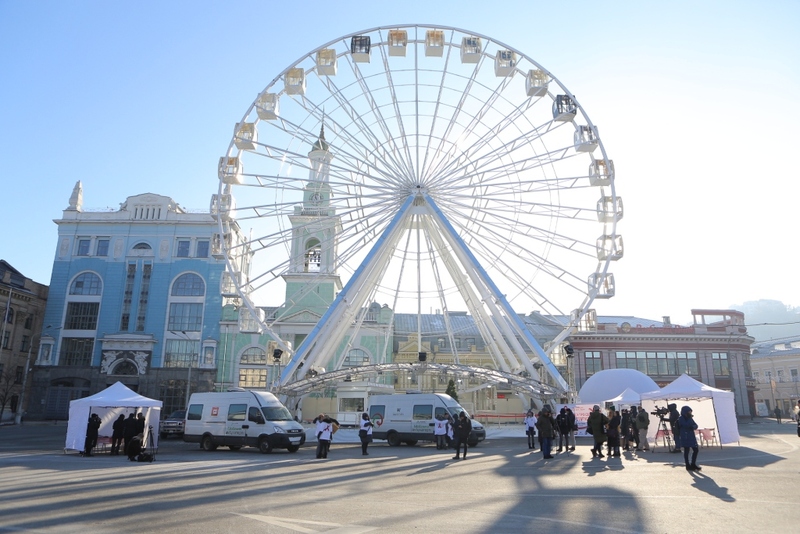 Over the course of the traditional informational and educational campaign on the occasion of the World AIDS Day, 300 people, mostly students, were tested on the Observation Wheel on the Kontraktova Square and in mobile clinics. All interested persons also had the opportunity to receive condoms, the key protection from HIV/AIDS, free of charge. 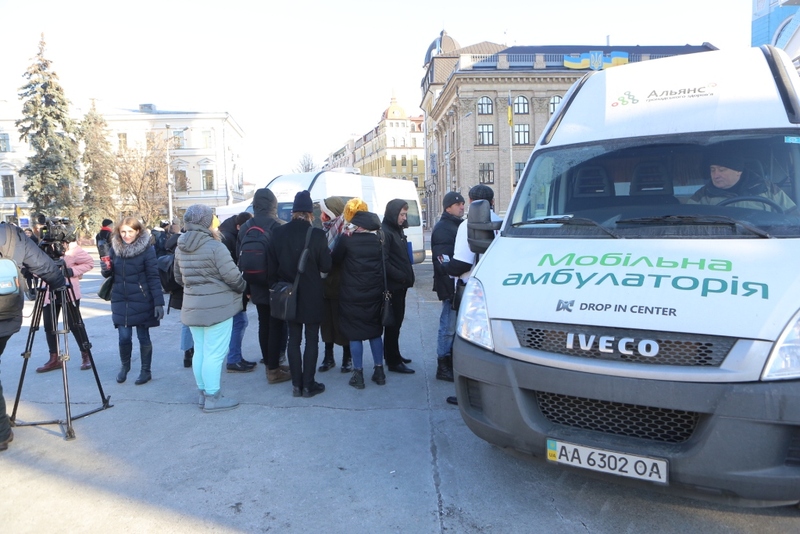 The event was organized by the Alliance for Public Health in partnership with the “Convictus Ukraine”, the Kyiv City Center for Social Services for Family, Children and Youth, the Drop-In Center, the CO “Club “Eney” and the CO “ALLIANCE.Global”. As of the beginning of 2018, there are 141 371 HIV-positive people enrolled on dispensary records in Ukraine, although their estimated number exceeds 241,000 people. Almost half of the estimated number of people living with HIV does not know about their HIV-positive status. That is why testing is no less important in the fight against the spread of the HIV epidemic and the early achievement of 90-90-90 goals, as well as prevention and treatment. Thanks to the tested testing, the Alliance succeeded in reaching 2.4 times more people (235,266 people) in 2017 compared to 2014. 30% more positive results were found (3,577). Among new clients, the percentage of positive results is 5 times higher than among the “old” ones, which indicates the efficiency of preventive measures, as well as new challenges in the activities. Next The Alliance was a co-organizer of the Regional meeting on strategic priorities for advocacy. Previous Information statement On the World AIDS Day Know your HIV status!